CLaSS is the Centre for Learning and Study Support based in the Kimberlin Library. We are a small team of learning and writing developers who work across the university to assist both students and staff. How can CLaSS help me and my students? CLaSS will work with you to design bespoke sessions delivered in modules to support academic practice, writing development, critical thinking and professional skills. If I would like more information or to book a session for my students what is the next step? 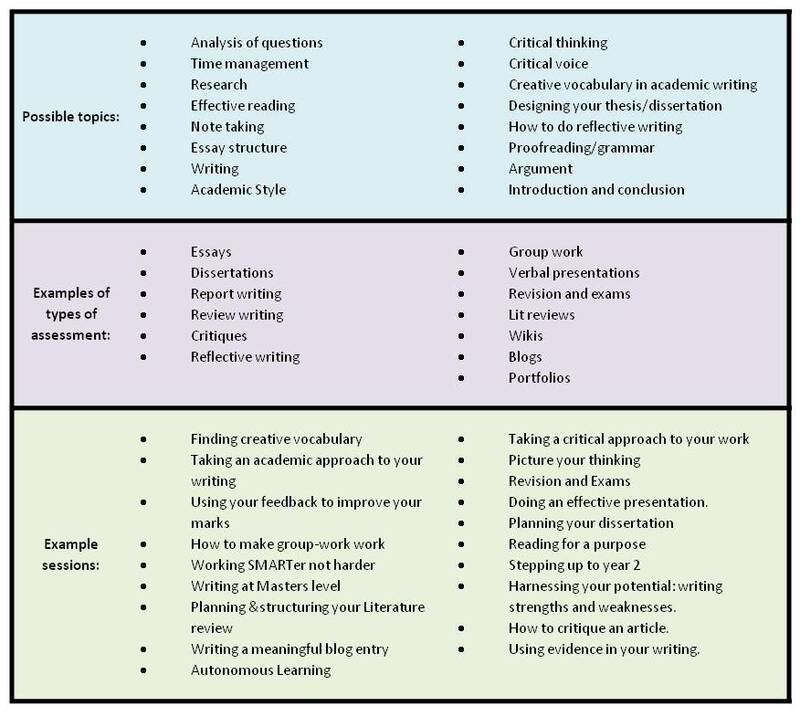 If you were unable to attend the 'Plan your summer of writing' session on 23 May, these resources may be of some interest. The slides presented during the session outline some of the considerations around planning for writing, and present some writing tips/strategies to share. 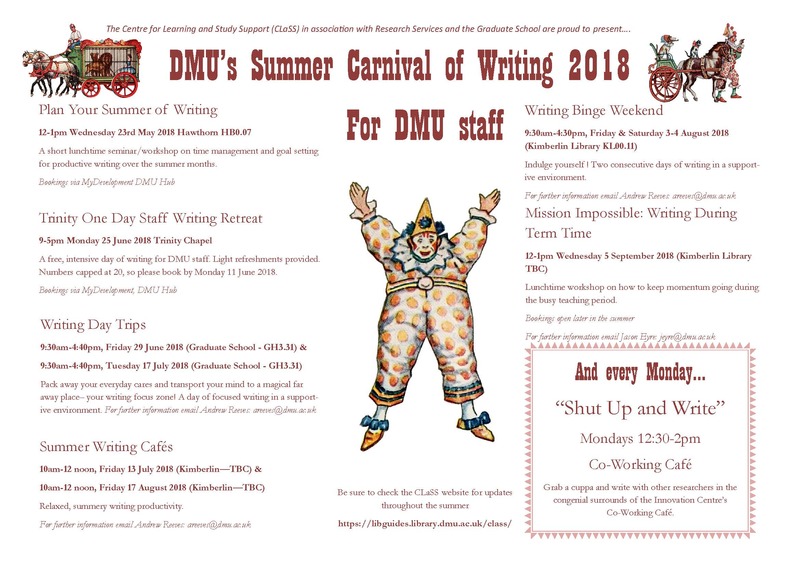 You will also see a link to the 2018 Summer Writing Planner, an A3 document for you to download, print and annotate as you see fit.